THE BEATLES/VARIOUS ARTISTS Mojo Presents Sgt. 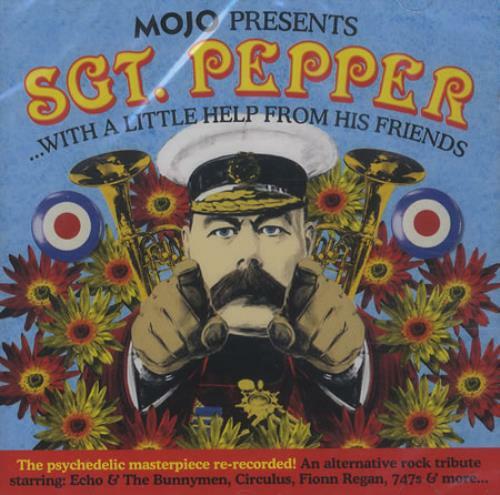 Pepper...With A Little Help From His Friends (2007 UK 14-track compilation CD album originally issued with the March 2007 issue of 'Mojo' Magazine featuring the Beatles' classic 1967 album performedin sequence by contemporary acts including Simple Kid, Circulus, Fionn Regan, 747s and Captain, plus a bonus track in the shape of Echo & The Bunnymen's take on All You Need Is Love, colour 'Lord Kitchener' picture sleeve - still SEALED! ).